Whether you’re working on a school poster or brainstorming your next comic book character, Sketchpad makes it easy to bring your ideas to life. Easily draw, edit photos, or design your next business card. Craft images for social media posts, digital ads, paper, or even apparel. 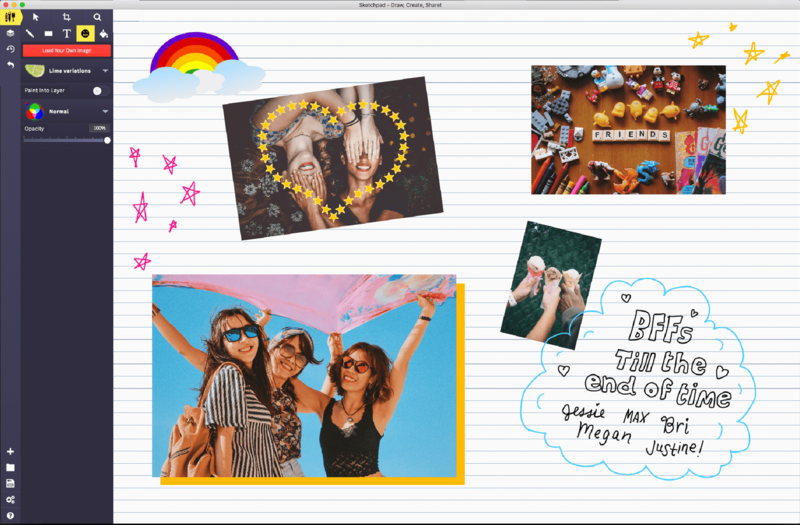 Make a quick photo edit with the drag and drop feature, or lose yourself for hours in Sketchpad’s streamlined digital makerspace. Create your next art project with Sketchpad. Craft social media posts, digital ads, and even apparel. 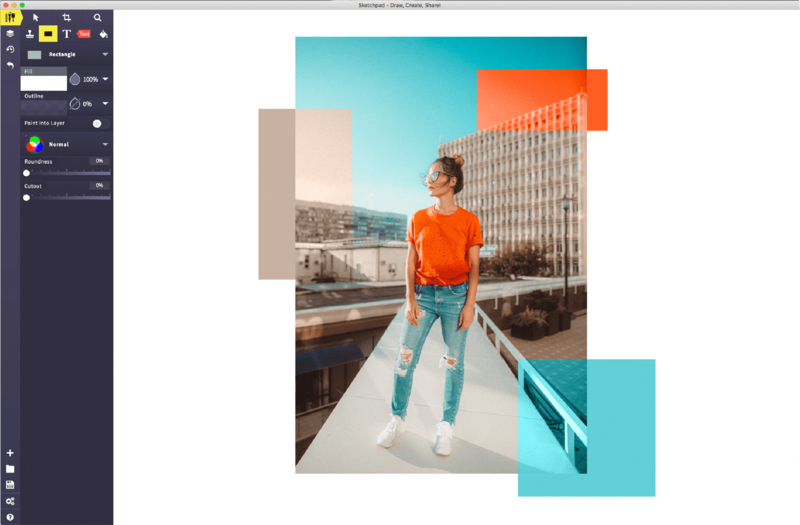 Use layer selection, gradient overlays, and over 5,000 clipart. Over 800 fonts and 1,400 stamps at your fingertips. Create cool strokes with the Tile, Mirror, Crayon, and Calligraphy brushes. Decorate your artwork using hundreds of high quality stamps. Use the line and path tools to trace images are create detailed line art. Browse through the thousands of high quality vector images to use in your project. All images are open source and available for use in professional and commercial artwork. 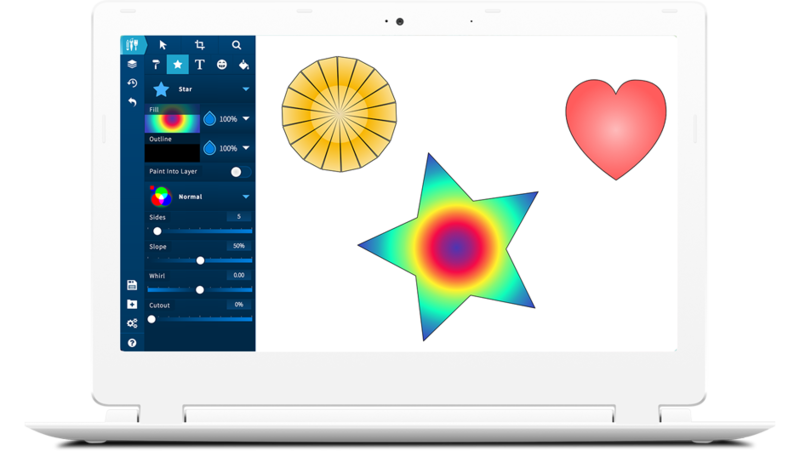 Add your own vector or raster images by dragging and dropping them right into the Sketchpad interface. Each shape can customized using slider options in the UI. 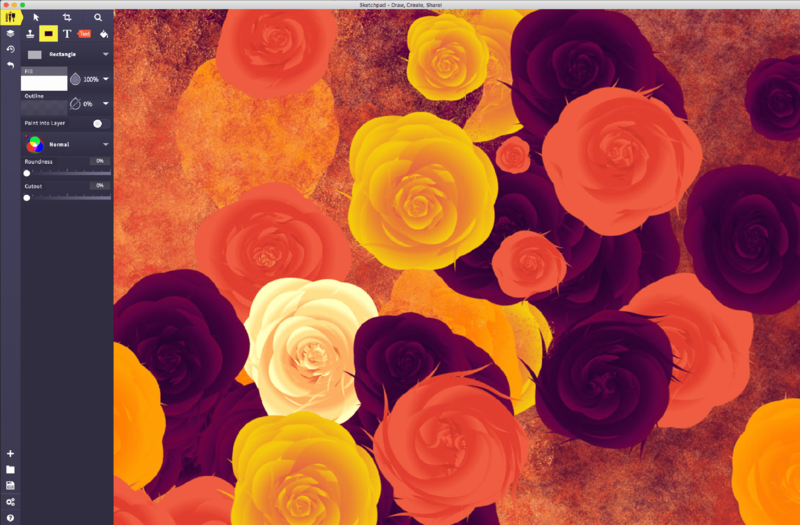 Fill and outlines can be added with colors, gradients and patterns. Paint directly into shapes to keep your brush strokes "inside the lines." 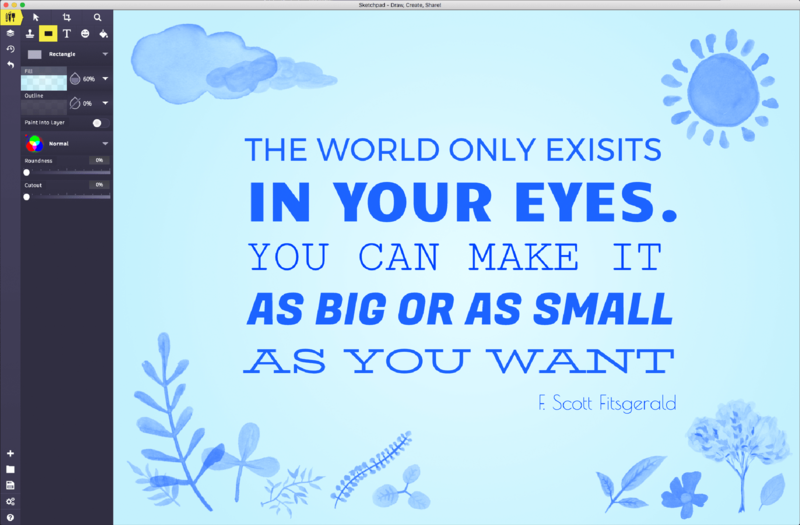 Access all of Google's high quality font library directly from the Sketchpad interface. 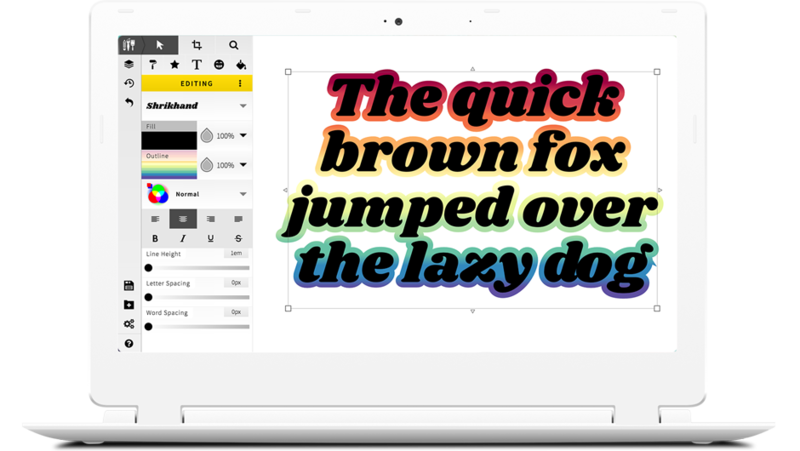 Fill and outline options can be added to fonts with colors, gradients, and patterns. Text automatically scales to the size of the bounding box so just click and drag the corners to make your text bigger or smaller. Sketchpad will seamlessly download updates for you in the background. Files are stored safely in your Documents folder on your Mac or PC and autosave is enabled by default to ensure you never lose a file. What's the difference between Sketchpad Online and Sketchpad for Desktop? 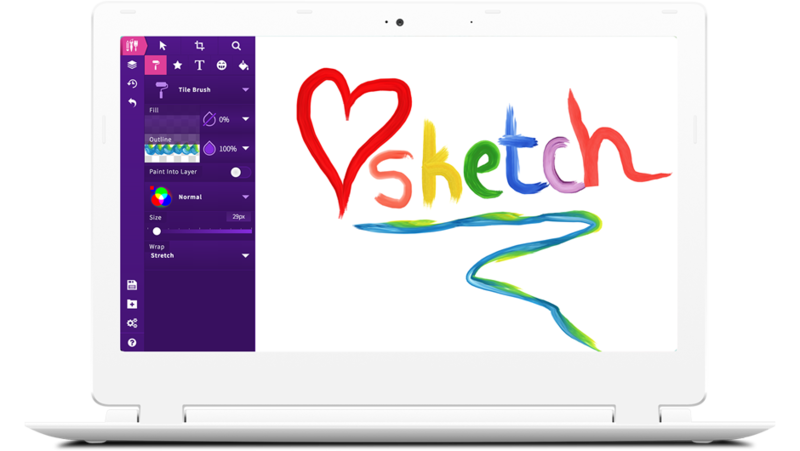 Both versions offer all the great features of Sketchpad. 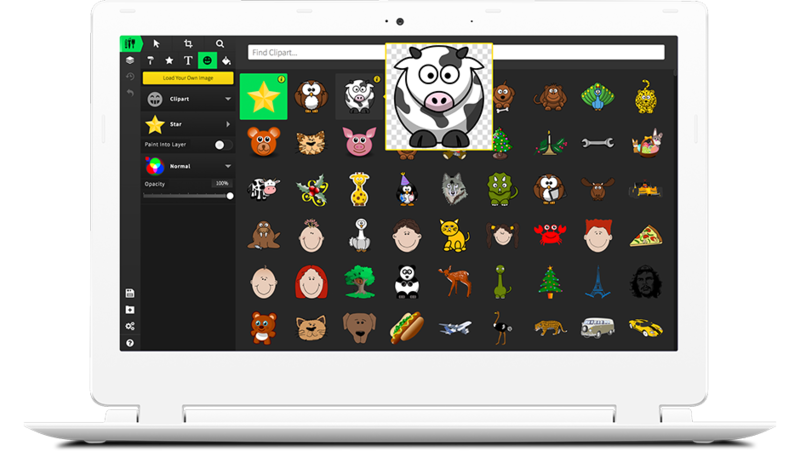 The desktop version allows you to save files offline as well as use the app without an internet connection. Can I use Sketchpad on my tablet? How much does Sketchpad cost? You can use the web app for free online and the downloadable desktop app costs $4.95. Can I install Sketchpad for Desktop on multiple computers? When you purchase Sketchpad, your license entitles you to install the software on one PC and one Mac device for a total of two computers. If you've changed your mind and no longer with to use Sketchpad, we can offer a full refund within 30 days of your purchase. To request a refund simply email hello@sketch.io and provide your name and email which you used to make your purchase.